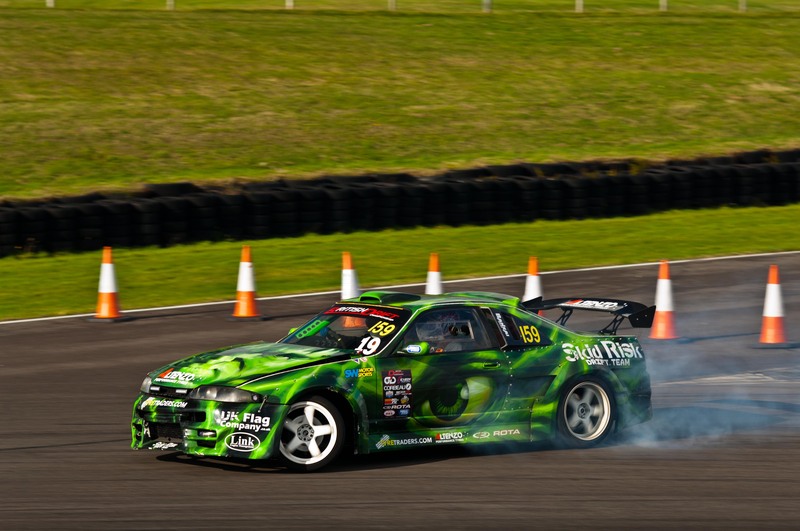 Out and about seems the norm for the Norfolk Arena Drift Team, every adventure brings something new and unexpected to the table. This time its way out west to North Wales and Angelsey. 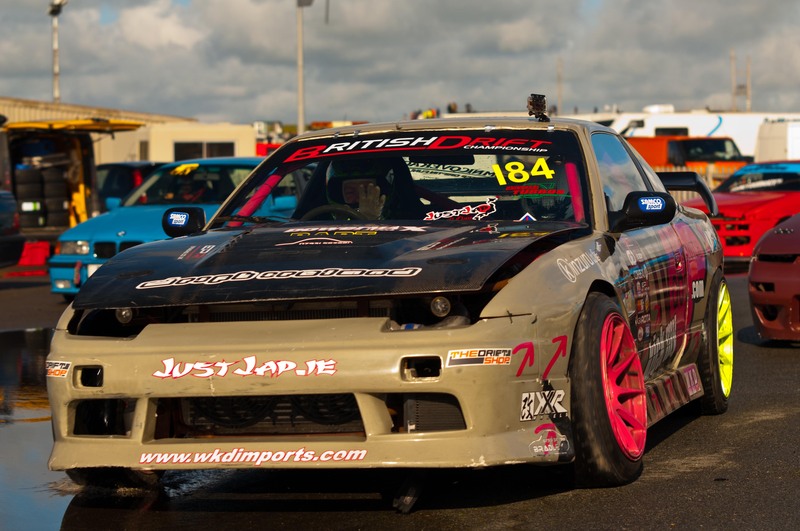 The British Drift Championship series wraps up in style at the scene of round 5 with its own self-imaged free for all of Drift Matsuri. Grassroot, Pro-Am and Pro classes either make the voyage or land haul to the Angelsey Circuit for two days of high-octane fuelled fun and motorsport mayhem. Seemed a fitting backdrop for the rebirth of the Ford Pop 100E after its period of dormancy. Malcolm Foskett and his loyal team forged a burning path from east to west to participate in the weekends last gasp of BDC action. 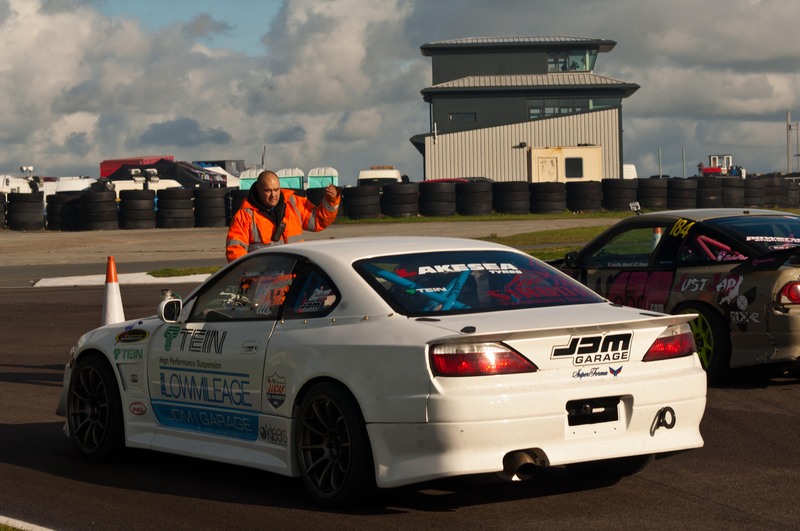 The two days consisted of drifting sessions over three tracks all of which combined to make up the complete Angelsey circuit. The large hairpin was what seemed the introduction corner, whatever your skill this was a great place to start, a wide open long sweeping bend with plenty of straight at the entry and exit. The uphill was a step further in the hair-brained drifter. A long twisting track with left and right handers with uphill blind bends and snappy straights tested the skilled drivers wanting a challenge. The final circuit was the high-speed long straights and wide open bends of the BDC track used in round five. High powered cars usually running flat-out in second or third gears for the need for that elusive fourth gear. A great friend and current shared holder of the Mark Callf Challenge Cup, Stu Farley provided great entertainment for the team with energetic flat-out entries of the hill circuit to full-bore fourth gear 80mph 90 degree entries of the speed circuit. 350bhp in a custom Nissan S14 provided transportation along with the small but perfectly formed 1959 100E. 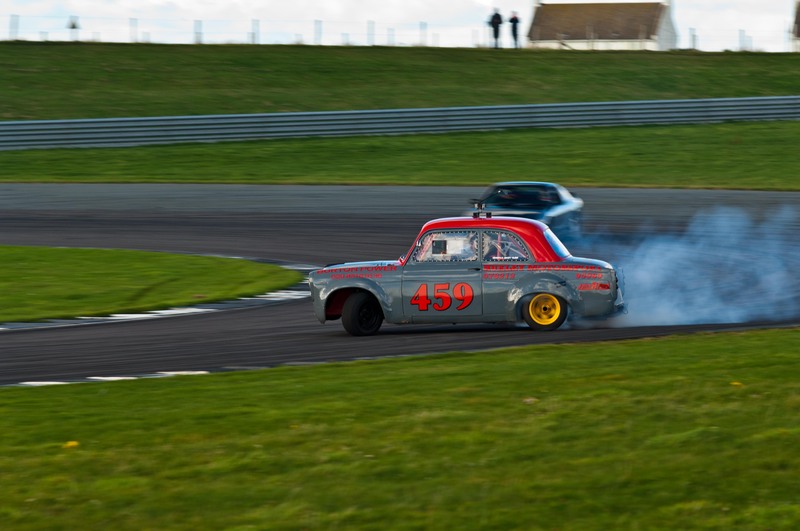 An engine replacement has seen this little gem of a race car reborn, to put its place back on the map of the NADT scene. Its track of choice was the hairpin. Slightly underpowered but never holding back its presence was certainly felt and never missed. Passenger rides a plenty, NADT team members, pro drivers and BDC staff all felt the fozzy experience on track. It held out well, a few minor tweaks during the day but never a dull moment. 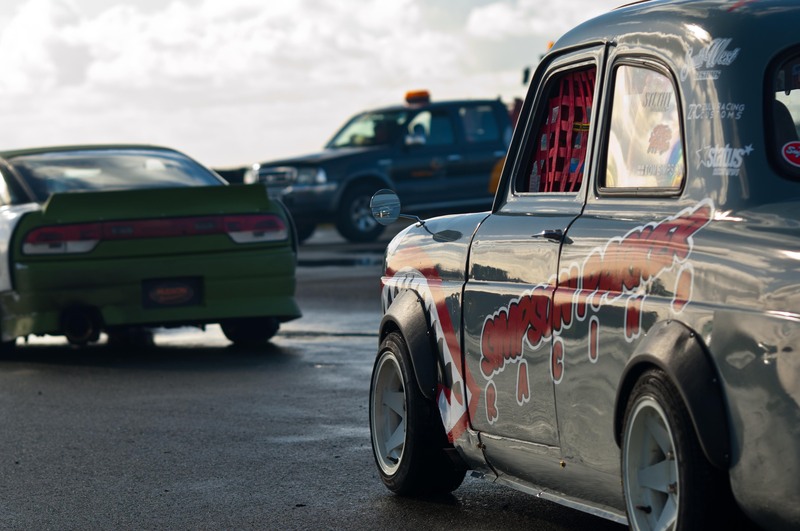 Matsuri is a parting farewell for 2015 BDC season. A chance for all to drift their hearts out. All types of four-wheeled madness came to the party, some with their party clothes on ready for the evenings floodlight battles. Cars came to unwind ready for that important winter rebuild, some to retire but all for a good time. 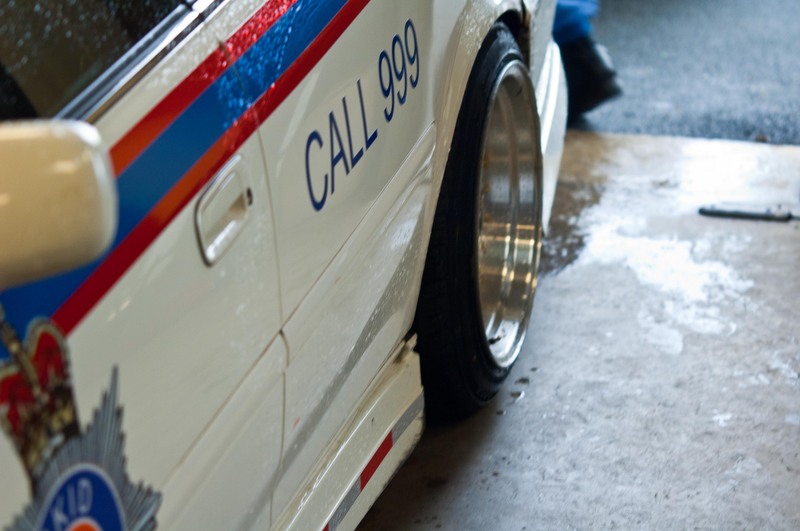 If you have ever witnessed the small-scale drift scene you would be surprise by the amount of tyres destroyed every hour. Delam and wasted rubber littered the tyre services area. The guys at work seemed at a constant pace to recycle the rims and rubber so all could get maximum seat-time. Never once did they let up. The track itself I am told is underused but not having witnessed many pure racing circuits in my time this is high on the list of developed and landscaped sites I have seen. Its layout and design are the perfect mix of long straights, tight hairpins and long sweeping bends. Testing and challenging but not impossible. Also the backdrop is truly breath-taking. Perched on the coast, long scenic cliff tops and waves crashing on the shores below set the impressive picture to a well matched circuit. Possibly its only negative is the location, awe-inspiring as it is, it’s just a little of a haul to get to but so worth it in the end.